We have information on the top eleven wonderful and healthiest foods. You should try these foods and tell everyone about them. We mention foods from whole grains, nuts, legumes, beans, fruits, and vegetables. This is part one. Blueberries: This low calorie berry has the ability to destroy free radicals that can cause cancer. Blueberries have antioxidant phytonutrients called anthocyanidins, which improves the effects of vitamin c. These antioxidants may assists in preventing glaucoma, varicose veins, cataracts, heart disease, peptic ulcers, hemorrhoids, and cancer. Cantaloupe: Almost all the vitamin A need in one day is provided by ¼ of cantaloupe. You get two nutrients at once in since the beta-carotene in cantaloupe converts to vitamin A. Both nutrients may help reduce the risk of developing cataracts. Cantaloupe is a wonderful source of vitamin C, which helps the immune system. Cantaloupe is also a great source of dietary fiber, folate, niacin, vitamin b6, and potassium, which assists in keeping up with good blood sugar levels and metabolism. 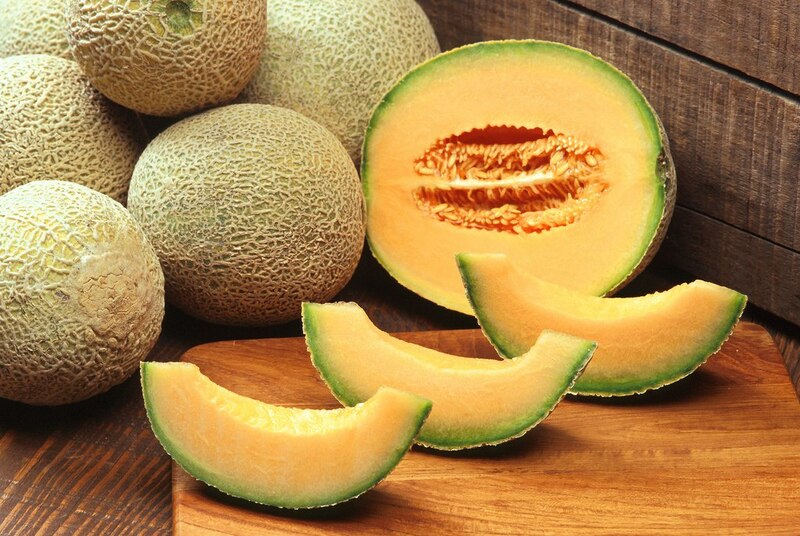 Cantaloupe may help reduce the risk of cancer, heart disease, and stroke. Sweet potatoes: Sweet potatoes have an excellent source of dietary fiber, potassium, iron, manganese, copper, and Vitamin A, C, and B6. 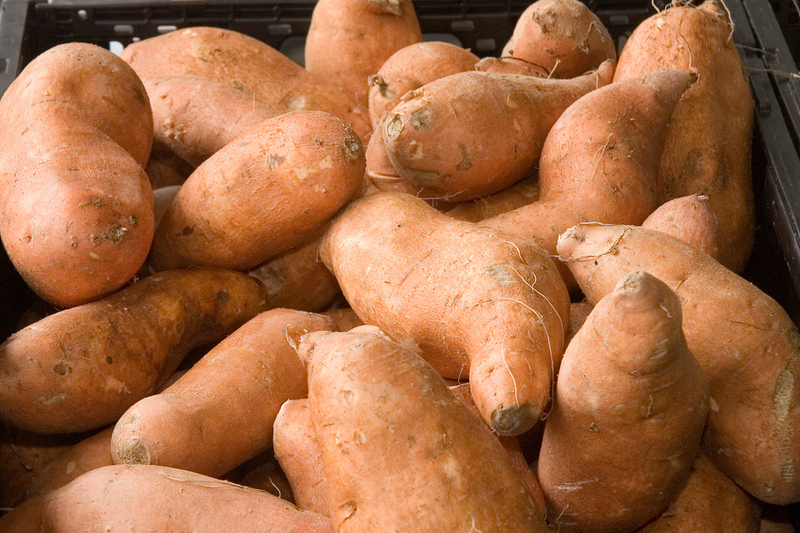 Sweet potatoes are great for people that smoke or second hand smoke because it can help prevent you from emphysema. For dessert you can eat sliced or cubed sweet potato without the skin with honey or syrup drizzled on top with a dash of cinnamon sugar sprinkled on top. Tomatoes: Tomatoes are an excellent source of Vitamin A, C, and K. Tomatoes can battle heart disease and cancers such as prostate, breast, colorectal, lung, pancreas, and endometrial. Tomato juice by itself may help reduce blood clotting. Fresh organic tomatoes give 3 times as much the cancer fighting carotenoid lycopene. Organic ketchup is better for you than nonorganic ketchup. When shopping for tomato sauces and pastes look for the ones that have the whole tomato including the skin/peels because you will absorb 75% more lycopene and almost twice the amount of beta-carotene. Kale and Spinach: When considering green leafy vegetables, kale and spinach top the list. They are known for their cancer fighting and heart helping abilities. They provide Vitamin A and C. Spinach contains a lot of Vitamin k, it has almost 200% of the daily value, this helps decrease bone loss. Boiled kale has a good source of calcium with 25% per cup. Whole grain and brown rice: When buying whole grain foods make sure its 100% whole grain. Check for the ingredients on the food package. To give an example, Look for whole wheat flour as one of the first ingredients in whole wheat bread. It’s not whole wheat bread if it’s not listed as such. Not only does wheat bran helps the body fight cancer but it also assists you in regulating your bowel movements. Brown rice is better and healthier than white rice. 50 to 90% of manganese, iron, phosphorus, Vitamin B1, B3, B6, and all of the dietary fiber and essential fatty acids we need are destroyed when turning brown rice or whole wheat flour into white flour or white rice. Even if white flour or white rice is enriched after being process, it is not the same thing as it was originally. 11 nutrients are lost and not replaced during the enrichment process. So eat up on your whole wheat and brown rice. The super healthy foods we just listed are worth eating and now that you know which foods are healthy, it’s time to go grocery shopping for your health.